Overall, the Brother MFC-3340CN is a top-end printing device that can ensure real performance boosts no matter what the scenario. From its versatility in terms of operating system compatibility to its relatively speedy print per minutes levels, there are plenty of advantages available. Despite that, however, there are some disadvantages, including paper capacity levels. 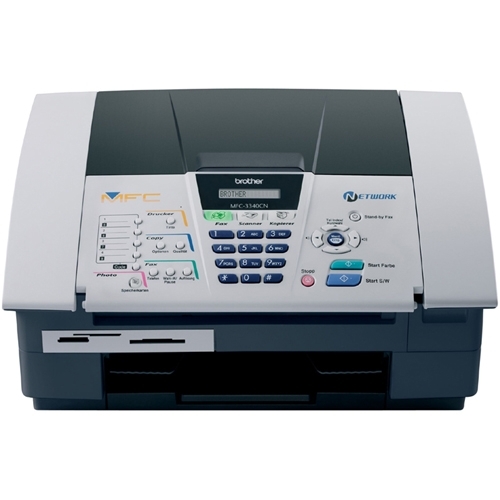 The Brother MFC-3340CN has been designed to be user-friendly. In terms of its design, it has an inkjet printing system that can deliver 20 pages per minute for monochrome printing, with colour printing following at a respectable rate of 15 pages per minute. It has 16MB of RAM, which is especially handy for fax users: The device can store faxes as they are being scanned while also performing its vital send and receive functions. This device comes with several positives. For example, it can connect seamlessly with a range of other computer functions, including the Brother Photo Capture Centre. It also has a printing resolution of 6,000 x 1,200 dpi, which means you can enjoy significantly more crisp and focused prints than before. It’s also the sort of printer that is adaptable to a range of different operating systems, so whether your organisation’s computer network is based around Windows or Mac, the Brother MFC-3340CN can help you out. However, the Brother MFC-3340CN isn’t a completely perfect device. While it enjoys a 100-sheet paper input tray capacity, it is possible to find paper input tray capacity levels much higher than this by opting for another device. Therefore, if you require an extremely fast print turnaround for high-volume jobs, an alternative printer might be best for you.